Karl Lagerfeld, who has died at 85, was a master of fashion. There won’t be any more like him. He joined Chanel in 1983, when it was languishing after the death of founder Gabrielle “Coco” Chanel. He quickly took it from classic to cutting edge. Today, what was once associated with staid older ladies is now desired by young Chinese millennial and generation Z shoppers. His extravagant fashion shows encompassed everything from a floral fantasy to a faux street protest, burnishing the halo around the label. He leaves another legacy, of a very different sort. Chanel is also a slick business that perfected a strategy known as category segregation: offering very expensive pieces alongside cheaper items under the same label. He created the dream of owning a Chanel suit in order to sell not just pricey leather goods, but also affordable cosmetics — which enabled the company to ride the recent boom in demand for color cosmetics and skincare. While very few could afford items such as the shopping basket bag he created for the 2014 couture show, far more could manage a bottle of Chanel No 5 perfume (and it didn’t seem to matter that he felt free to insult his shoppers that fell foul of his standards by wearing sweatpants, having children or being overweight. They still lusted after one of his lipsticks). It’s a difficult strategy to do well. Hermes International, for example, blurred the line between different price points by introducing cheaper models that sit alongside the highly priced, and hard to find, Kelly and Birkin bags. That doesn’t seem to be damaging its status right now, but it is certainly a danger for the brand. Ferrari NV is finding the approach much more difficult. Its clothing range has never really taken off. And, unless it is handled with care, an attempt to broaden the brand’s appeal by offering an SUV has the potential to damage the racing pedigree that appeals to some buyers. If there was any doubt Chanel was able to make this work, look no further than its report last year of just under $10 billion of sales, and a conservative valuation approaching $60 billion. Changes are sure to come for the brand. Though Virginie Viard, Lagerfeld’s deputy, will take over the creative reins, it is possible that for the longer term owners Alain and Gerard Wertheimer recruit a new designer. That could provide an opportunity to breathe fresh life once more into Chanel. Competition from Kering’s Gucci and Balenciaga, and LVMH’s Celine, is becoming more fierce. The brand doesn’t have a menswear division, and that could be a next step – but introducing it would also challenge the delicate high/low balance. 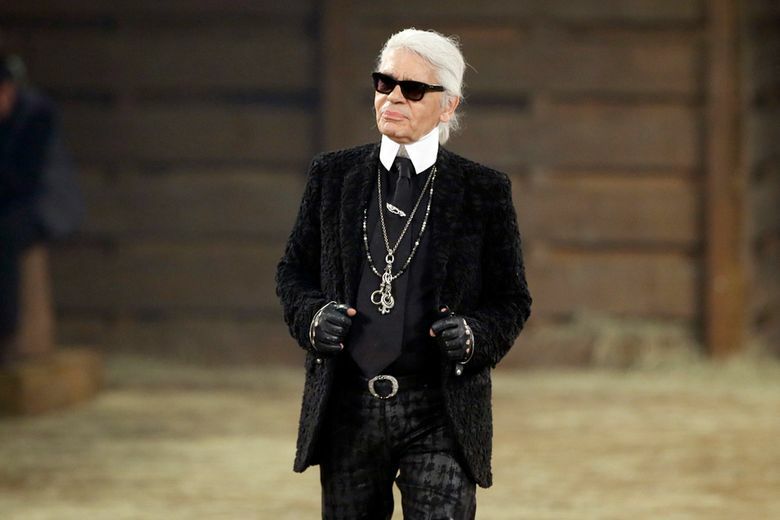 The successor to Lagerfeld will be mindful of following in his hugely creative footsteps, as well as his punishing work ethic. But his replacement will also need his ability to pick up the cultural zeitgeist, stay one step ahead, and retain the crucial juxtaposition between chic and cheap that worked so well. With assistance from Chris Bryant.